We offer 6 unique, luxury vacation rental cabin homes near South Fork Colorado and closest cabin rentals to Wolf Creek Ski Area. Champoluc and Gressoney are named after 2 small delightful villages in the Monte Rosa Mountains of the Italian Alps. 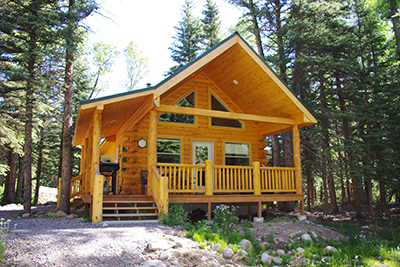 We have 2 additional luxury vacation rental cabin homes, Sequoia and Eldora. Coyote and Moose complete our offerings with a new value line vacation rental cabin homes.